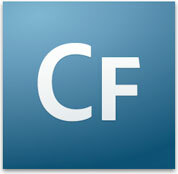 Adobe is hosting a series of live ColdFusion webinars hosted by ColdFusion experts. These webinars will cover a wide variety of topics ranging from what cold fusion is, to advanced topics like ColdFusion Builder extensions. The ColdFusion developer week has something for everyone. Imo, free and safe download. Imo latest version: Free PC-Based Software to Send Text Messages and Video Calls. IMO for Windows is a free application which allows calls. imo messenger for windows desktop Message and video chat with your friends and family for free, WePhone – free phone calls & international calling. This entry is filed under ColdFusion, Web Development. You can follow any responses to this entry through the RSS 2.0 feed. Responses are currently closed, but you can trackback from your own site.